Birmingham peeps, this sweet baby in Calera needs a home! 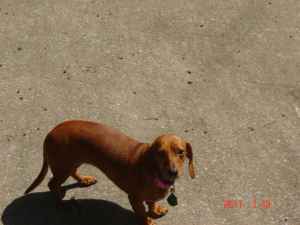 She's a year and half year old miniature dachshund that weighs 8 pounds. 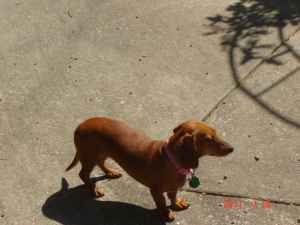 She is neutered, house broken and gets along great with kids and adults. If you're interested in giving her a home, go here for more information.